Reidemeister-Singer Theorem: For any two Heegaard splittings and of a 3-manifold , there exists a third Heegaard splitting which is a stabilization of both. This theorem is definitely part of the big story in 3-manifold topology, and is usually proven in the PL category, as for example in Nikolai Saveliev’s Lectures on the Topology of 3-manifolds. There is another nice PL proof due to Craggs, Proc. Amer. Math. Soc. 57, n 1 (1976), 143-147. I think of a Heegaard splitting as being intrinsically a smooth topology construction (a level set of a Morse function), and so I would really like the proof of Reidemeister-Singer to live in the smooth category. I think that there should be consistent smooth and PL stories of 3-manifold topology living side by side. In the 1970’s, Bonahon wrote a smooth proof of Reidemeister-Singer, which uses Cerf Theory (naturally, because we’re investigating paths between Morse functions). Unfortunately, Bonahon’s proof was never published, and it is lost. A year ago (but I only saw it this morning), François Laudenbach posted a smooth proof of Reidemeister-Singer to arXiv: http://arxiv.org/abs/1202.1130. I think that this is wonderful! There are too few papers like this- there is insufficient incentive to streamline the storylines of foundations. 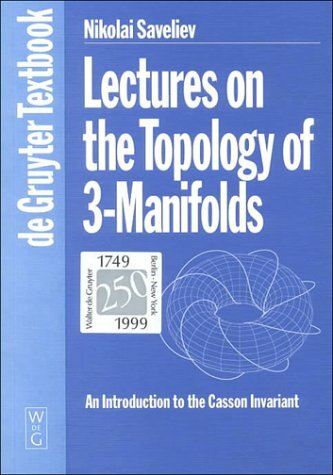 I am very happy to have found this proof, and I want such a proof to be a part of my smooth 3-manifold topology foundations. Perhaps that should be the “smooth proof from The Book” (or the “proof from The Smooth Book”)!